Ramadan is back here. Has a year flown away so soon? We haven’t really retrieved from the excitement of last Eid and Ramadan has knocked our doors again. We have ensured we have done our best to welcome this month. Our Homes are shining; Our freezers are full of frozen snacks to fry; We have even purchased our Eid clothes. Insha Allah, our time will be well spent in Ibada. Our Dua(invocation) books are out and we are determined to spend most of our time with Quran; we will try our best to read Quran at least once. After all, this has been our standard procedure all our life. Great! We are at bliss. Are we? Now let us see our Ramadan routine in a new light. 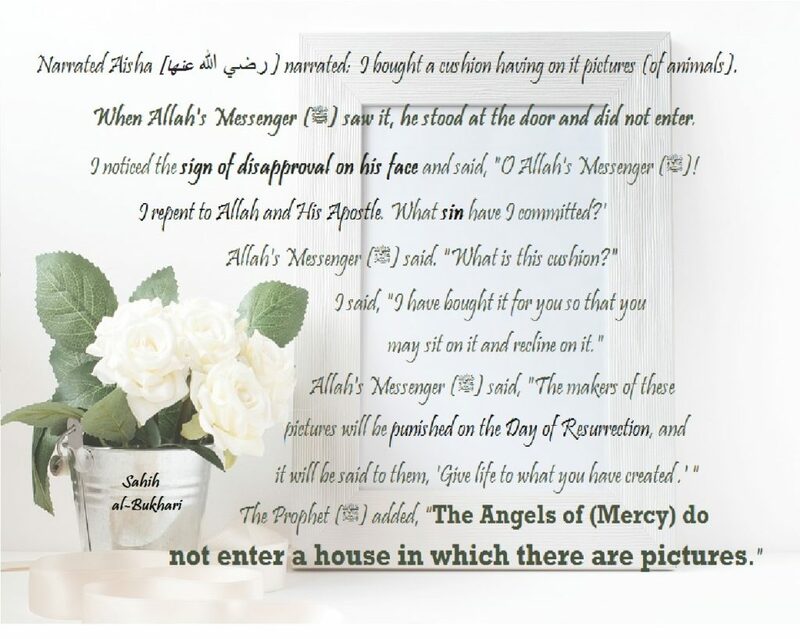 Are our homes welcoming enough for the angels? Of course, the house has been dusted and arranged. Check again, is there anything in the house which would keep angels away? Why wouldn’t angels of mercy enter our home, when we have ensured they even smell great?!! WELL, ARE OUR WALLS FREE OF FAMILY PHOTOS? Is a photo in your living room meant to honor a predecessor? Or, do you proudly display the photo of your child receiving a trophy? Indeed, the elders need to be honored and the youngster’s achievement is worth being applauded. But, we don’t need a framed photo to prove our love for them. Our love for Allah is much stronger and with all the devils locked it should be much easier to obey Him. Let us remove the photos and ensure that our home is welcoming enough for the angels. It’s the first day of Ramadan, and kids are already speaking of goodies they would get to eat in iftar. Most of us have loaded our freezer with partly cooked snacks. Moms are wondering whether to defrost kababs, samosas or spring rolls. We have taken all this pain to ensure that our family gets to eat tasty food while we don’t waste our valuable time in a kitchen. Well, have we also ensured that our deeds are being presented before Allah?! Are we in good terms with our extended family and friends? If you are in doubt, without delay connect to your loved ones. Please click here to read more about this. LET US MAKE THIS RAMADAN THE BEST RAMADAN! We all love the month of Ramadan. We love the fasting, reciting Quran and standing in tarawih salah. How we wish that we can feel this closeness to Allah all our life. Yet, after Ramadan, we slowly slip back being our usual self. Months of Ramadan come and go, with hardly any impact on our life. 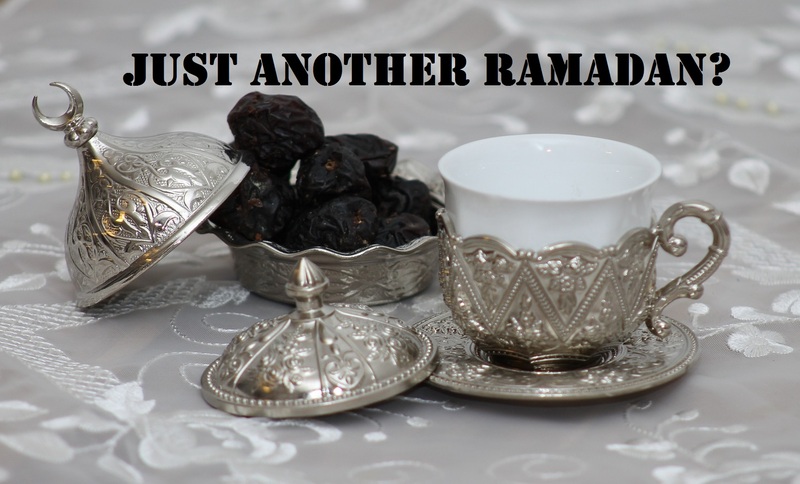 Why aren’t we able to hold on to something from our experience in Ramadan? 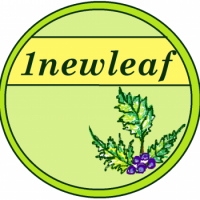 How did you feel, when you first fasted for an entire month? Alhamdulillah. How did you feel on completing the recitation of the Quran for the first time? 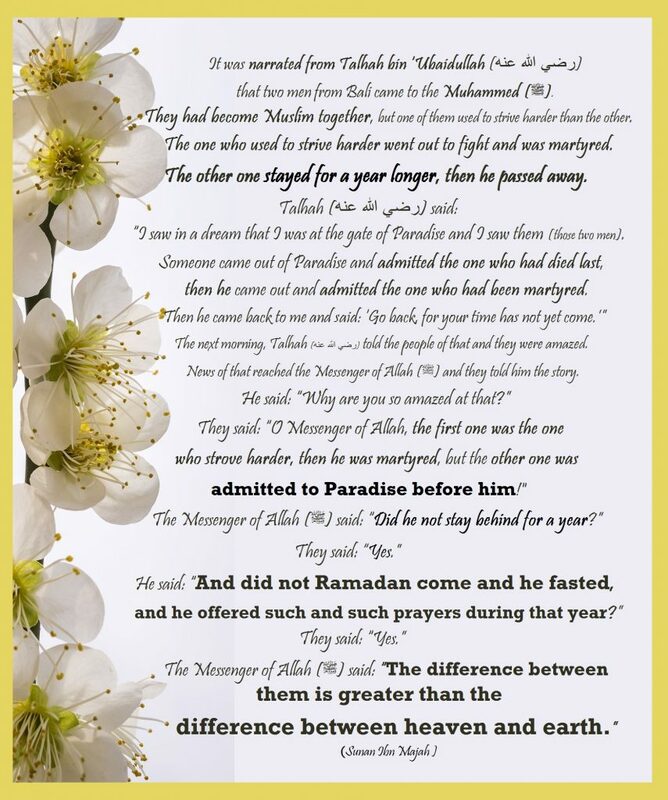 Are there any more memories which would make a Ramadan stand out? 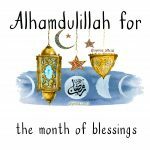 LIVING THROUGH THE MONTH OF RAMADAN IS A HUGE BLESSING. Every Ramadan in our life counts. Perhaps, it’s time we push ourselves to do a little more. Look at Ramadan as an opportunity to change our life for better. It’s time to elevate our Rank in heaven. Let us add something more to our life. How about a resolution? A spiritual resolution! 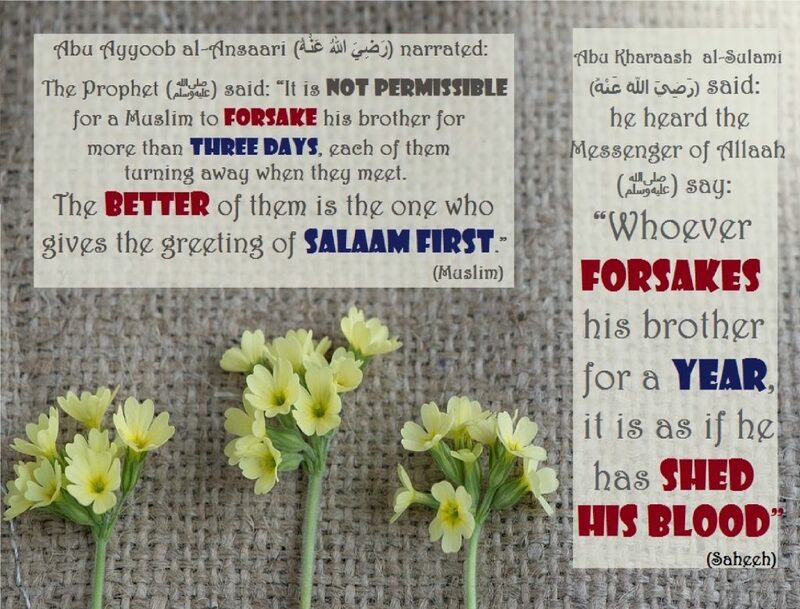 Adopt an act from sunnah. 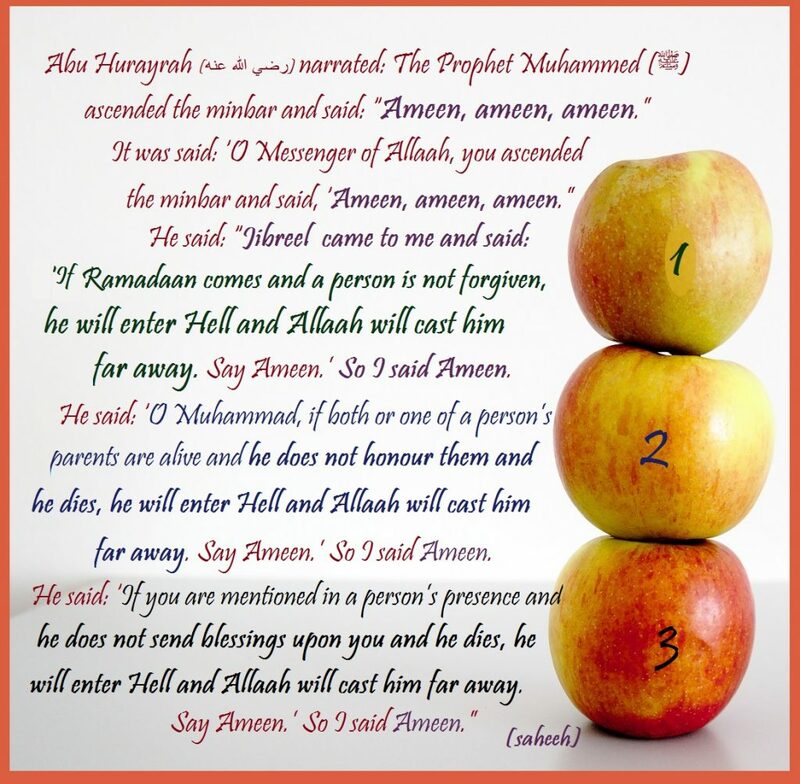 Something, which you can practice even after Ramadan. It could be an act as easy using miswak or wearing your right shoe first or incorporating at least one-morning supplication. How about, sitting down while drinking? Or, turning on to the right side before sleeping? Remember, simple deeds when done continuously could get us big returns! 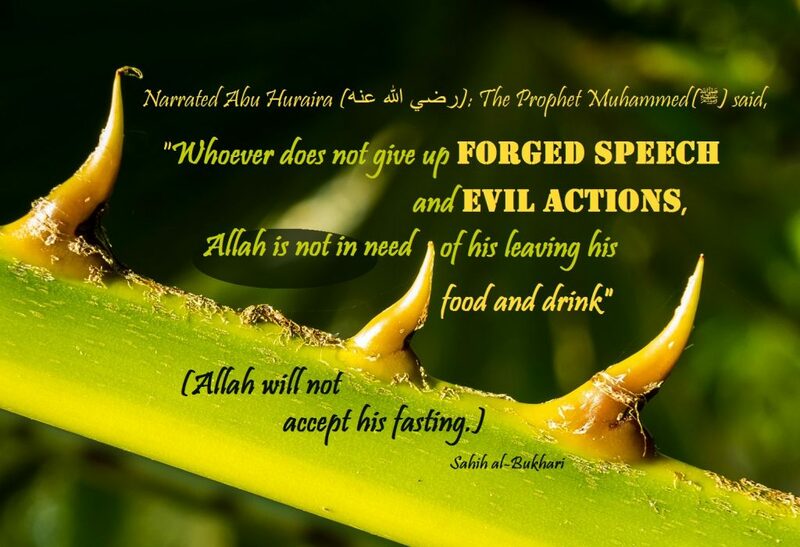 Fasting is more than abstaining from food. Are you afraid a phone call from a friend, will tempt you to catch up on gossip? AVOID IT; Are Facebook and gaming keeping you away from feeling the tranquility during prayers. Why not switch the Wi-Fi off unless it is absolutely necessary? This month is too precious to be wasted. We don’t want to face the consequences of a wasting this month! The ultimate purpose of this month is to get forgiven. Sadly, we are so lost in our world that sometimes we fail to see our imperfections. Our istighfar (seeking forgiveness) is not heartfelt. Remember even prophet Muhammad SAW, the best man to ever live used to seek Allah’s forgiveness for a minimum of seventy times a day. The world today is filled with misery and we are just lost in our whims and fancies. As Muslims, we have to feel the pain of our Muslim brother and sister who are in need. Nu’man bin Bashir (رضي الله عنه) reported: Messenger of Allah (ﷺ) said, “The believers in their mutual kindness, compassion and sympathy are just like one body. When one of the limbs suffers, the whole body responds to it with wakefulness and fever”. [Al-Bukhari and Muslim]. We see Muslims suffering worldwide due to poverty; civil wars or oppression. We cry on seeing them suffer. Then, we just move on with our life! May Allah forgive us for our shortcomings and inability to help our brothers and sisters. The least we can do is pray for the end of their suffering. May Allah wipe away their tears, give comfort to their heart and save us from such a fate. Ameen. Send zakat and sadaqah to those brothers and sisters who are facing famine. Refrain from disobeying Allah. Pray for the people in your life. Pray for their guidance and prosperity. Perhaps due to this, we will learn to love another better. We have a long list of Dua (invocation). Just before we break our fast, we would be uttering our heartfelt dua. There is a list of invocations which our prophets asked (in Quran and hadith). How about taking some time to analyze this? The first time I did it, I realized that there is so much more I could ask Allah! The invocations of our unlettered prophet would amaze any sensible human. 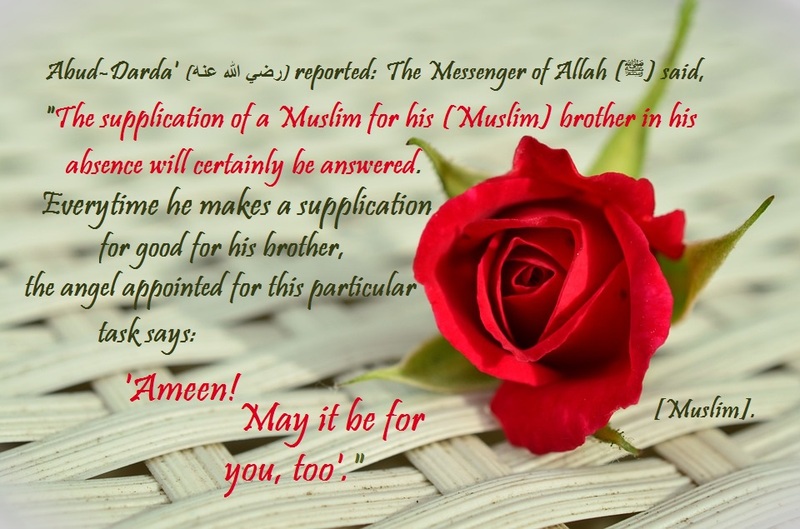 And there is so much we can learn from – when and how the prophets supplicated. Take time to relish these and add them to your dua list (Insha Allah, with time we’ll be giving precedence to these). We need not limit ourselves to ask supplications at the time of iftar. 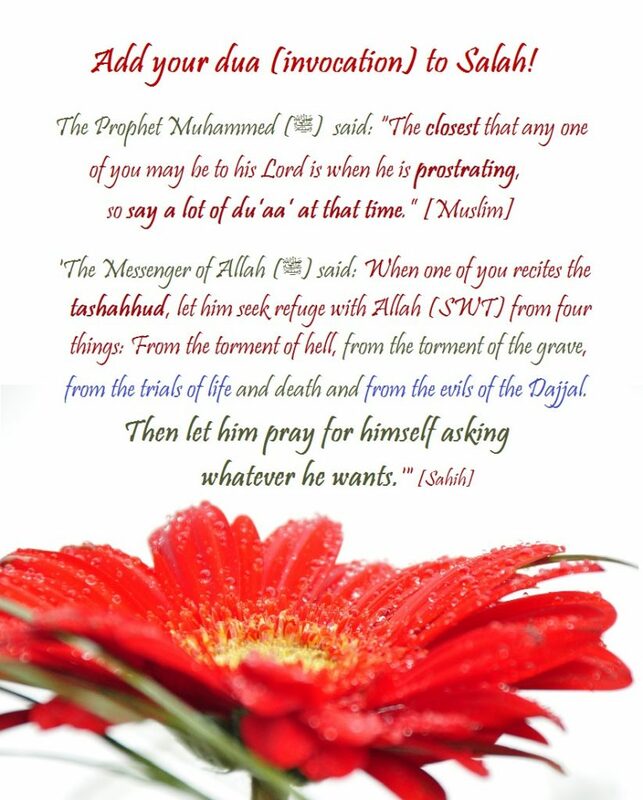 How about supplicating in Sujood (while prostrating). Of course, this implies supplicating while in salah (ritual prayer) in the position of sujood. After reciting prescribed invocations (as taught by the prophet) we could utter our heartfelt dua in sujood or after tashahhud before salam (before ending the prayer). Please note: Dua is an integral part of our prayer. There is no saheeh report to say that the Prophet (peace and blessings of Allaah be upon him) used to raise his hands following an obligatory prayer, or that his companions (may Allaah have mercy on them) did. The moments before dawn are the perfect time for praying. Now that we are awake to eat the suhur, let us try to take some time to supplicate. How about praying ‘witr’ then? Ever Muslim wants to complete recitation of the Quran at least once during Ramadan. To moms with babies and toddlers, this may seem like a hard task. New moms could read/listen to Quran while suckling the baby. We, moms, find it difficult to join tarawih in the masjid. But, we could pray at home. Of course, it won’t feel the same. Here is something which could help you enjoy it. Complete Quran through tarawih at home. You don’t need to be a hafiz. We may recite Quran from an open book in salah. Even toddlers know that mom is not to be disturbed in salah. While the days are spent caring for kids and trying to make them feel the spirit of Ramadan, night prayers can be used to complete Quran recitation at home. Let us make most of our days too. Let us coax them to memorize Quran with us. With these tips, Insha allah Ramadan would be month we have refined some of our habits as per sunnah; spent more time in sujood; and recited more Quran. This won’t be just another Ramadan. Insha Allah, it would change us for better. 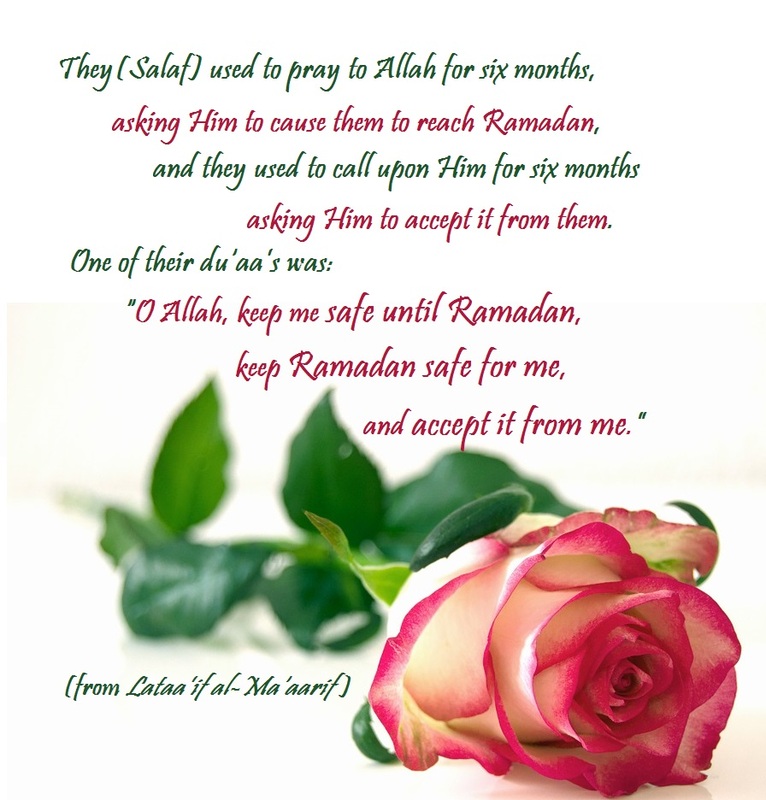 May be, our dua too will be centered around Ramadan! For more tips please visit- Bidding farewell to Ramadan. May this Ramadan be the best Ramadan in our life so far. May we be blessed with many more Ramadan better than this. And, may Allah be pleased with what little we do to please Him and forgive us. Ameen. A Muslimah using pen to spread her wings with an aim to reach high ranks of Jannah. 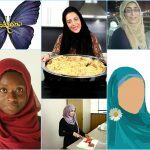 This home maker loves to see her readers taste the beauty of Islam. May Allah accept her efforts. Ameen. Maa shaa Allah what beautiful tips and advice and I loved all of the beautifully chosen hadiths ;). May Allah bless you, Ameen! Great reminders and tips. I love the part where you mentioned “The ultimate purpose of this month is to get forgiven” – it’s soo easy to forget 🙁 There’s so much emphasis on doing good deeds (and rightfully so) but it’s easy to overlook that seeking Allah’s forgiveness is also really important. Masha’Allah a very detailed and beneficial post. JazakAllah for sharing it as part of our 30 Ramadan posts this year. Some really good ideas and reminders here. An inspirational post. Such a great post..It has so many reminders for us. Masha Allah I could see all the hard work being put into this post! And all the previous year’s posts !